Spirulina (Arthrospira platensis) is a blue-green algae which contains naturally occurring nutrients such as protein, phycocyanin, chlorophyll and carotenoids. This superfood is one of the most nutritious and concentrated food sources in the world. 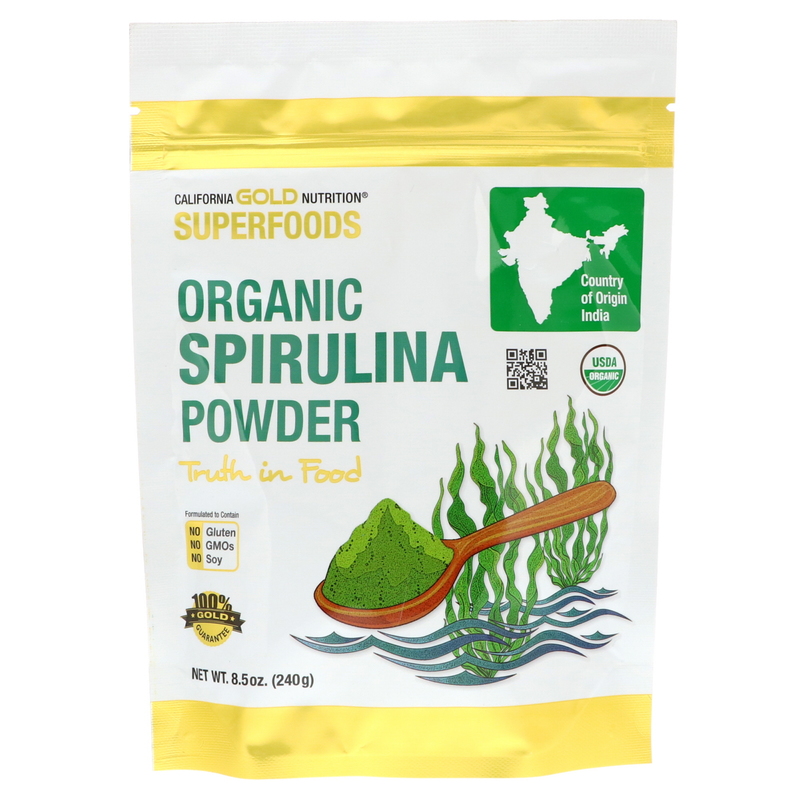 California Gold Nutrition® Superfoods Organic Spirulina Powder is exclusively sourced from Parry Nutraceuticals and is grown under pristine lab controlled conditions. The flavor of Spirulina is typical of greens with mild grassy notes, making it mellow enough to pair well with a wide range of berries, fruits & veggies. Not a significant source of Vitamin D, Calcium & Potassium. 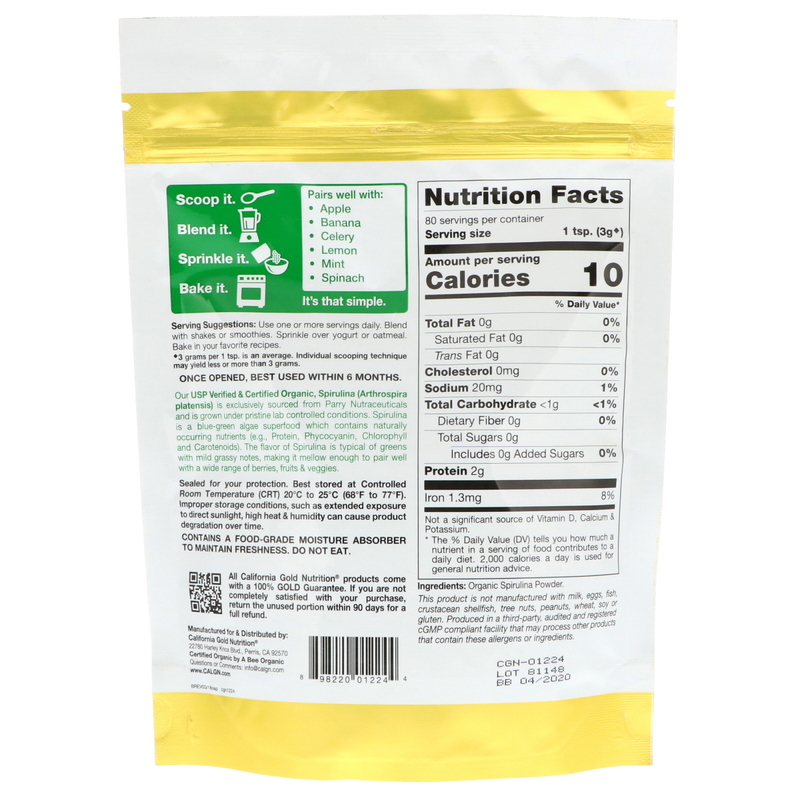 ^3 grams per 1 tbsp. is an average. Individual scooping technique may yield less or more than 3 grams.